I took myself out to lunch, today. Lately I’ve been trying to eat more vegetables and less fried things and drink more water and less sugar. That makes eating anywhere other than your house a little bit on the difficult side. It shouldn’t be that way, right? Anyway, what with all of the snow days and all of the salads at home, I just wasn’t thrilled about going home for lunch today. So, then I went through my mind thinking about who I could invite to lunch with me but the idea of making conversation for an hour seemed a little exhausting. 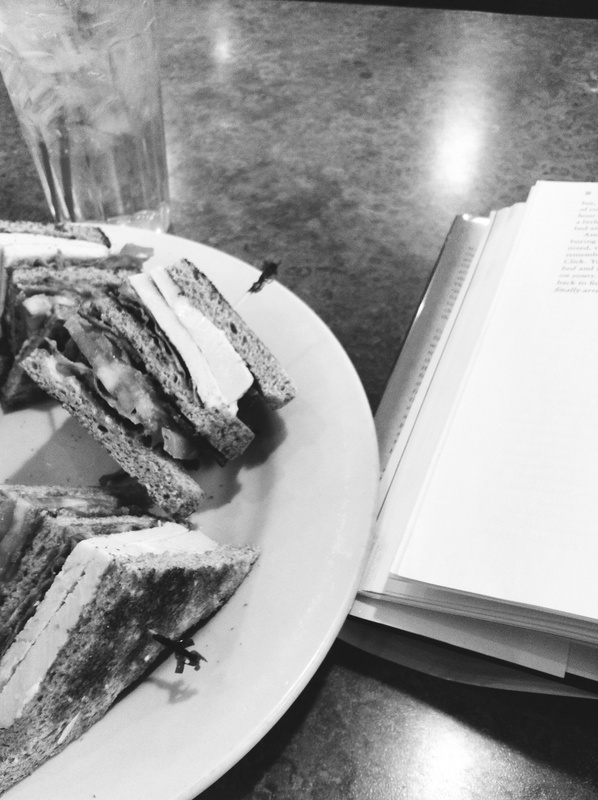 So I took myself and my book to Perkins. I went to Perkins. Perkins is filled to the brim with elderly people–big clumps of them. Some were celebrating a birthday. Some were just eating pot roast. But they were all around me and they all had that clean, old person smell. It’s not a bad smell it’s just a distinct one. You know how they say that the sense of smell will bring back more memories than any other smell? Sitting in this booth reminded me a lot of my grandma who passed away last month. She used to run this lunch program for the senior center in Macksville, KS. She organized the meals on wheels for the people who couldn’t make it out of their house and then served lunch in the Senior Center for everyone who could make it out. When I was really little, I remember going with her every now and again. The old people loved it when I came. I was a pretty timid, polite kid–not exactly prone to tantrums or hysterics of any type. I’d sit there and talk to them or I’d run and get drinks for them. There was one lady who would always ask me, “if they get olive oil from olives and vegetable oil from vegetables, where do they get baby oil?” I did not know this was a joke and it troubled me greatly. I learned to read a little bit before I was old enough to go to school (the only time in my life I could be described as an early bloomer) because my older brother was learning to read and he taught me things. When I was learning to read, I would bring my copy of The Baggy Saggy Elephant and read it to my captive audience who never let on that it was in the least bit annoying to hear the same story three or four times. I’d make my way down the tables, stopping at every empty chair with my box of chocolate milk and my book and tell everyone about this elephant who’s skin was too big for him. And then it was time to run some errands and then go back to work.